Sun. #2 is HERE. To help the website out please subscribe to Mistah MegaManFan so we can reach 1,000 (current count: 829). If you're a gamer you'll enjoy the content! Don't miss WWE Raw highlight videos later tonight. With the cheap plugs out of the way here's Monday's latest wrestling news. Speaking to Wrestling Observer Radio, Chris Jericho says Impact Wrestling made him an unbelievable offer: "When I was starting to talk with Tony and you know, I was negotiating with New Japan and even Impact as well. Like I said, the thing is, Impact offered me a hell of a deal for a four-match series. Like it was a really good amount of money. We're talking mid-seven figures. They have some cash as well. I think people kinda gloss over Impact at this point in time. When they believe in something, they have money for it." In this interview Cody Rhodes says AEW is looking for unseen talent: "We're looking for fresh more than kind of the equity-garnered individual who has perhaps popped up on various television shows already. We're looking for someone who hasn't been seen. That's kind of the directive. 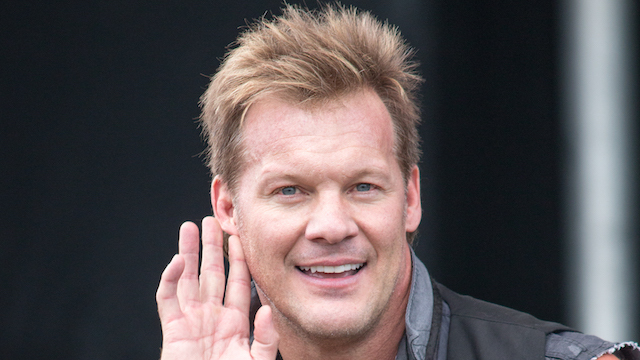 Of course, there are folks like a Chris Jericho who is an absolute star's star, a wrestling frickin' rock star, and he has done it all and seen it all. But I want to have that juxtaposition of somebody on that level and somebody that our audience is seeing for the first time ever." * Mojo Rawley pinned Tyler Breeze with the Pounce. * The Lucha House defeated The Singh Brothers & Jinder Mahal. * WWE Intercontinental Champion Bobby Lashley defeated Dean Ambrose and Apollo Crews in a Triple Threat match. * WWE Raw Women's Champion Ronda Rousey defeated Ruby Riott with the armbar. * Drew McIntyre pinned Elias. * WWE Raw Tag Team Champions The Revival defeated Chad Gable & Bobby Roode. * Braun Strowman pinned Baron Corbin with a powerslam. New WWE related videos including (but not limited to) Elimination Chamber highlights are below. In addition the latest episode of MLW Fusion can be found below. Apparently EC3 draws inspiration from John Cena in a very odd/off way: "I hate to steal a catchphrase from John (Cena), but never give up is a real thing. I never quit on something. (And) if I'm spited in the past, I remember it. I hold onto it. It's an angst. It drives me forward. If you ever stepped on my toe, cut me off in traffic, stole money from me or stole my cats, I hold a vendetta against you. And I do not quit until it is reciprocated." In this interview TJP (TJ Perkins) talks about paying his wrestling dues in New Japan's famous dojo: "They also shipped me off to Tokyo whereas the other guys, they may have spent another night or two in the dojo in Tokyo just if they arrived the day before a tour and they didn't go to a hotel or something like that, but I actually had to go and be in the dorm rooms in Tokyo. I slept in Chris Benoit's bed. I was in those dorm rooms and I would sweep the floors and help cook the meals. Thankfully, one of the young boys in my class, Inzowa was his name. He wanted to be chef. He didn't really want to be a wrestler, he was just wrestling. So thankfully he cooked most of the meals because he loved cooking so I didn't have to do that. But I'd sweep floors and wash Nakanishi's back, Liger's back, carry their bags. I did all that stuff. The other guys really didn't have to do that sort of thing. If I had to go on tour, they would ship me out a month early, two weeks early and I would live in the dojo. Sometimes I would stay there between tours. I'd be there for three months at a time or something like that." Also in case you missed my tweet about it, Miz announced Maryse is pregnant again during the PPV. * New Day defeated The Bar. No Kofi. Mostly a comedy match. * EC3 loses to Shelton Benjamin in about 5 seconds. * Samoa Joe vs Jeff Hardy. Joe attacks Hardy before the match and we have a no contest. * WWE U.S. Champion R-Truth defeated Andrade and Rusev. Lana and Zelina at ringside. Rusev got a big cheer until Lana called everyone peasants and turned them. * Charlotte Flair vs. Asuka for the WWE Smackdown Women's Champion. This was GREAT!!! Asuka wins by DQ after Charlotte uses the kendo stick. Becky Lynch comes through the crowd and attacks The Queen only to be kicked in the knee and beaten with sticks and chairs. They were separated but Charlotte came back and attacked a second time. We could tell something was up when Byron Saxton announced before the show there would be cameras and may be used for TV. * Jeff Hardy defeated Samoa Joe. * WWE Champion Daniel Bryan with Rowan defeated AJ Styles.